I was personally invited by Mommy Rubz the host of the Friday Pink Fridays but because of being forgetful I always failed to join the weekly meme. I know I am late on posting my share for this week but I could not let this week passed without joining the meme. Good thing I found a nice photo to share for this weekly photo meme while I was browsing my personal facebook account. The photo was taken during my grandmother’s (mother side) 80th birthday last April 15. We decided to give her a birthday bash as a thanks giving for reaching this far. Each of her children (family) brings their own foods to share. The three pink layered cake was courtesy of yours truly and the boyfriend. The cake was a bit pricey but it taste good and considering how big our family is the cake was just enough for us, lol. The celebrant has two cakes in fact. The other one was personally made by her niece (daughter of her older sister) who happened to manage (before) a bakery own by granny’s older sister. Yellow has become the color of the day when we noticed that most of us were wearing yellow I just notice it while browsing the photo album. So the photos I am sharing for my first ever Pink Friday meme is also appropriate share for the Mellow Yellow Monday meme. What do you think guys? 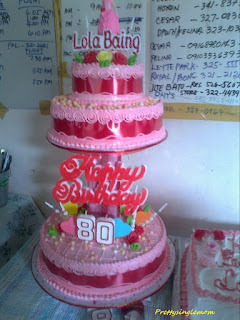 reaching 80 is surely a grand event worth celebrating. More birthdays to come to ur granny. i'm back again for another entry. hope u cud visit me:0 Thanks in advance. that's a pretty cake... I bet lola's happy! Pink does fit all ages. maka 60ako happy na ako..more than that bonus na yun..
Inviting you to join my hosted meme Orange Tuesdays open from Tuesday to Saturday. wow! anong sekreto ni lola at ng kapatid nya...hahaha. 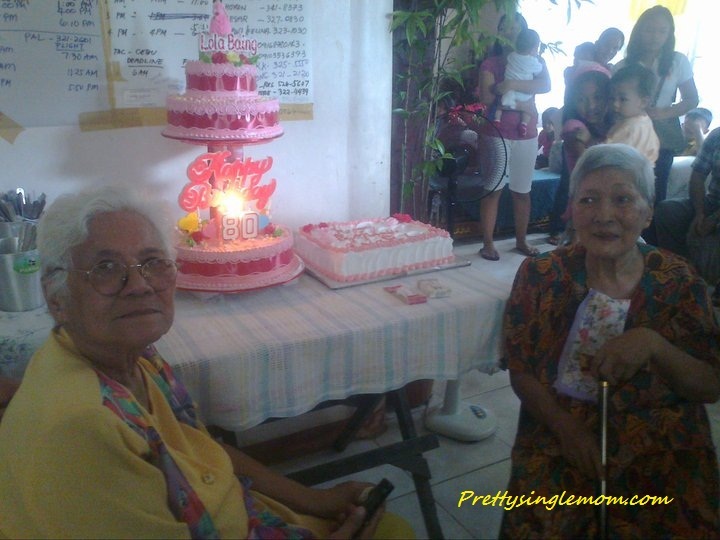 parang nag debut si lola sa cake nya ah! hehehe. Thanks for the PF visit sis. 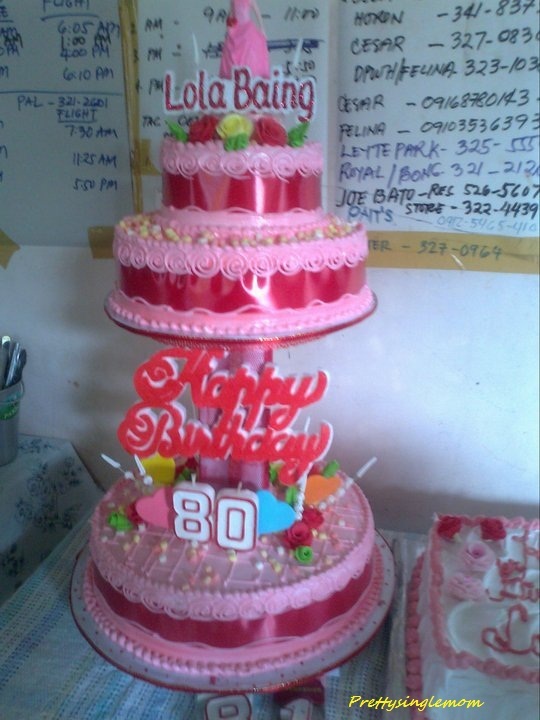 wow..so lovely indeed..pag kanice and wow..80 years old..congratulations and happy birthday to Lola;) godbless with strength and protection! thanks for dropping by my PF;) see you again next time! Wow...what an accomplishment...turning 80 ---hope she has many more to celebrate! WOW! Belated happy birthday to your Lola. Nice color for a cake. so festive and fun-filled post! happy birthday day to your lola. 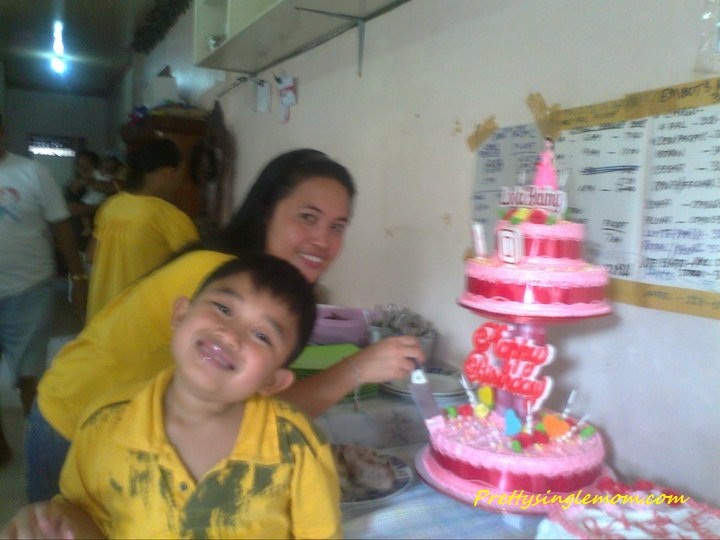 That is a definitely nice cake for a special birthday celebrant! Belated happy birthday po, Lola! wow, ka fashionista ni lola. 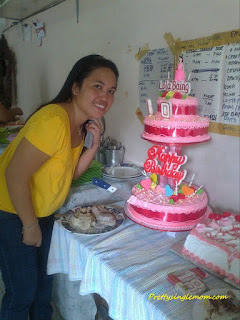 very pretty ng cake niya at pink na pink pa.